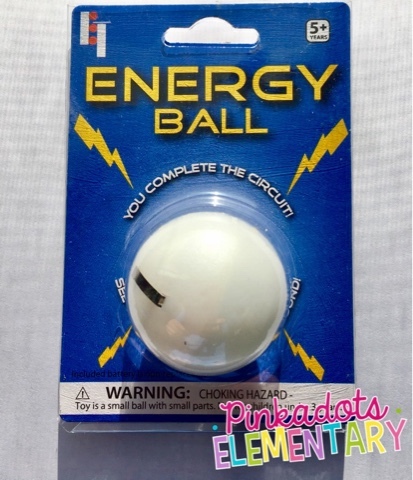 Pinkadots Elementary : Energy Can be Moved from Place to Place: Creating a Whole Class Circuit! Energy Can be Moved from Place to Place: Creating a Whole Class Circuit! 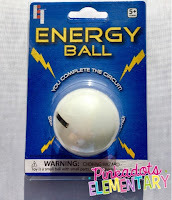 Have you ever seen one of these little Energy Balls? They can be picked up online at any science retailer, but I had never played with one until my sweet science partner purchased me one this week for me as a gift. My fourth graders have been learning about the transfer of energy for the past few months and we have been trying very hard to focus on making observations and using our observations as evidence to prove a claim on a scientific phenomenon. Pretty cool for 4th grade, right!? 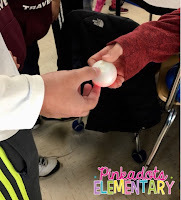 Today we had a few extra minutes and I gave the class the challenge of working together, using this energy ball, and proving the scientific principle: energy can be moved from place to place. They quickly figured out how to work the ball (both metal pieces need to be covered), but a few students started to form a circle and tested to see if their arms could act like wires in a circle. They were SO EXCITED to see that it worked. Before long, the whole class formed a circle and one boy practiced being a "switch" letting go and grabbing the hand next to him. I loved that I gave my class a challenge and not only were they able to use their knowledge from the unit and communication skills to figure it out, but they also extended the idea and went above and beyond. Check out my recent Instagram post for a GIF of this energy ball in action! 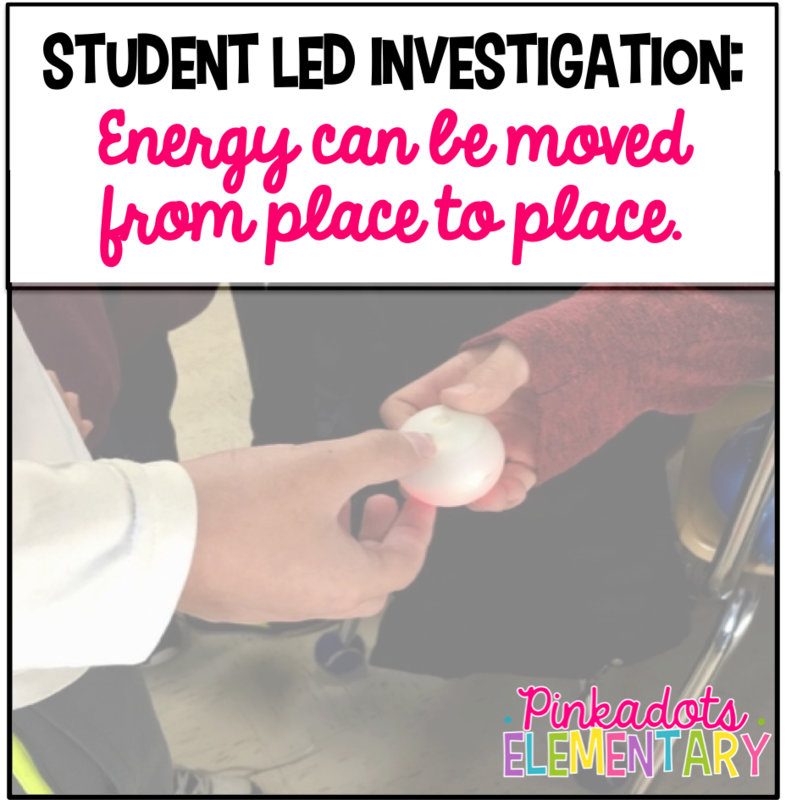 This quick energy transfer investigation really solidified the idea of an open and closed circuit and definitely blew the minds of my fourth graders.